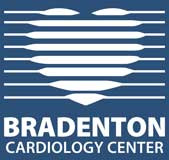 For over 30 years, the premier cardiologists of Bradenton Cardiology Center have provided the highly advanced methods of diagnosis and treatment for managing heart and vascular disease. Our team of physicians offers a comprehensive range of diagnostic and treatment services for cardiovascular diseases. Advanced diagnostic tests are available to help detect heart conditions and formulate a treatment plan. Our cardiologists utilize an individualized approach for each patient.